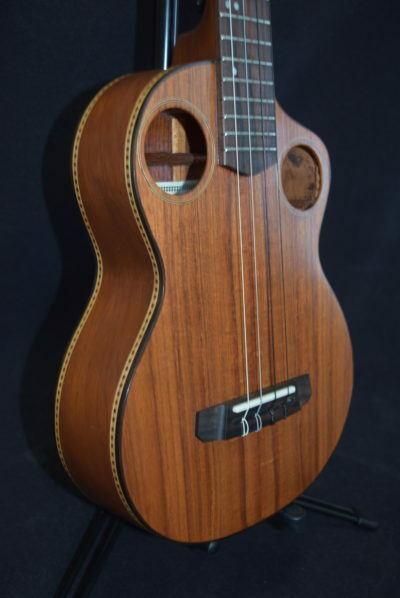 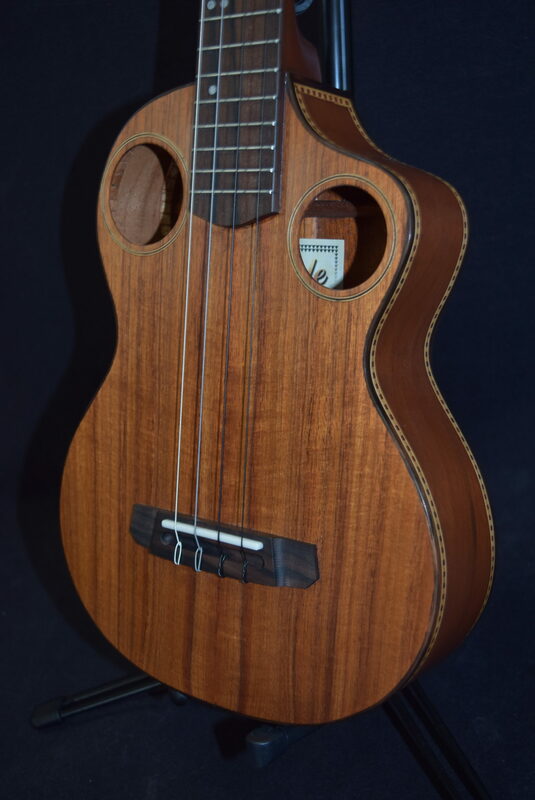 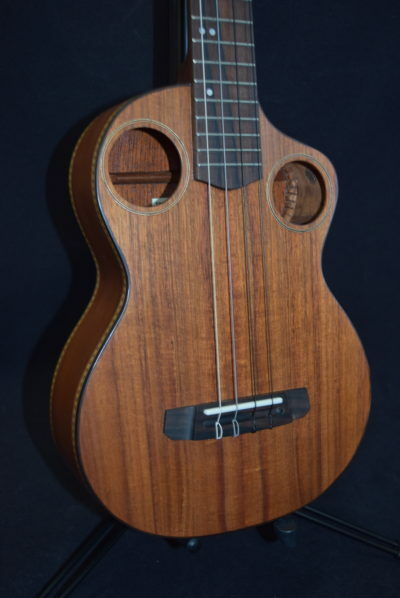 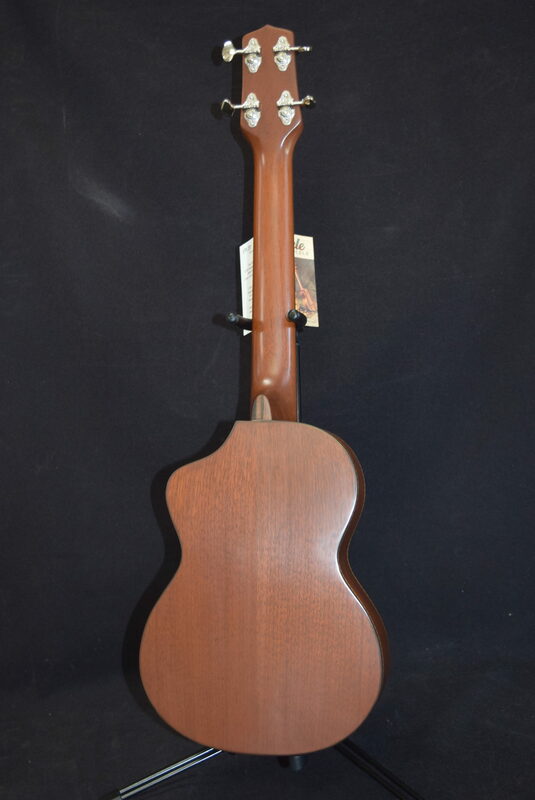 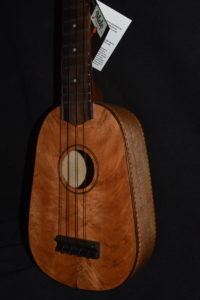 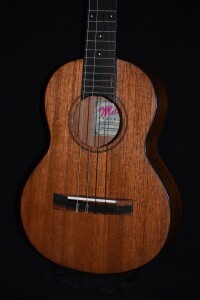 SKU: mele-koa-top-double-hole-jumbo-tenor-4-string-with-cutaway-593 Categories: Mele Ukuleles, Tenor, Jumbo Tenor, Hot Deals! 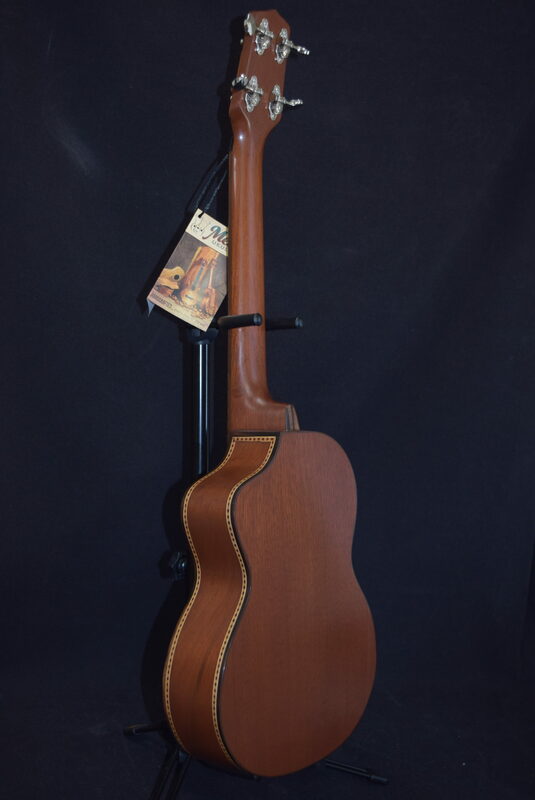 Here’s one of our newer models: the Jumbo (Extended) Tenor, which has a 19″ scale, as opposed to 17″ on our regular sized tenors.It is tuned GCEA, with either a high or a low “G” string. 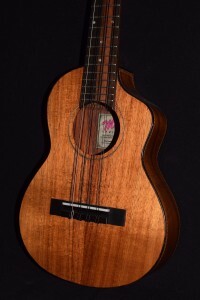 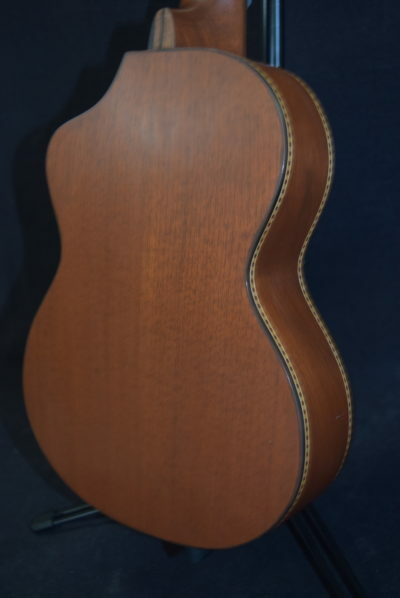 This model is almost exactly the same size as a vintage Kamaka baritone, and it can be strung with baritone strings in a DGBE tuning, so we sometimes describe it as a 19″ baritone. 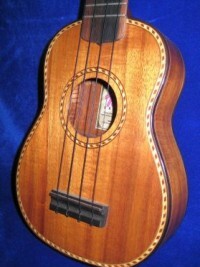 (Our regular baritone ukes have a 20″ scale and a slightly larger body). style players. 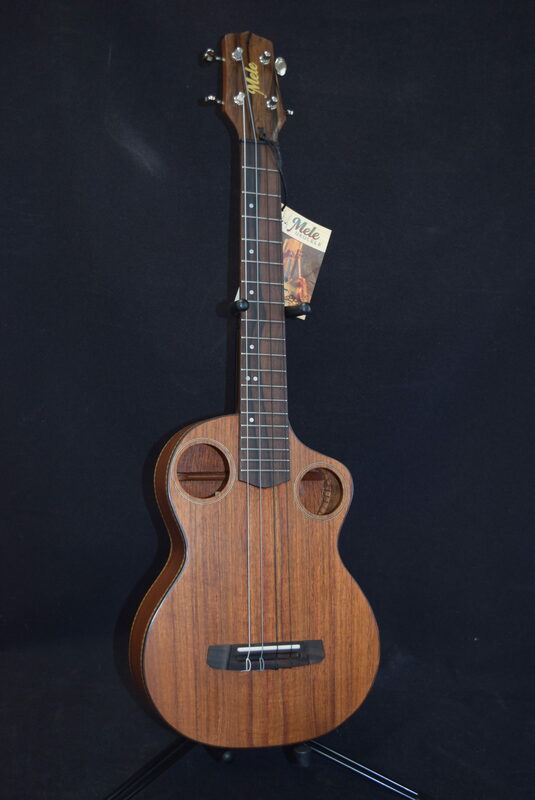 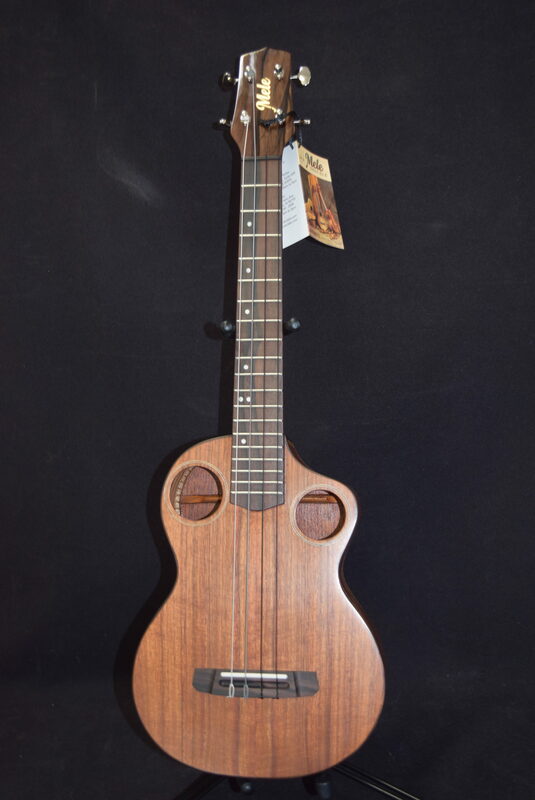 This Ukulele is MUST add to your growing Ukulele collection! !